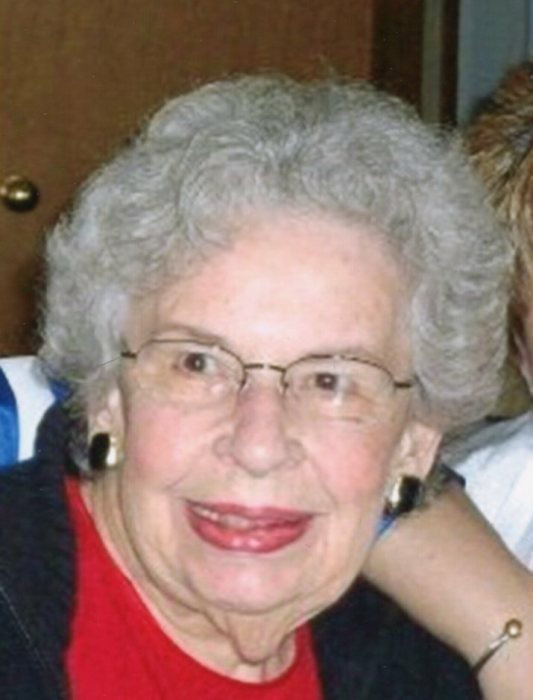 Nancy Joan (Walker) Bevington, 85, of Galveston, laid aside this earthly life on April 10, 2018 at St. Vincent Hospital in Kokomo. Since November of 2016, Nancy and her family were especially blessed by grace upon miraculous grace as she overcame multiple life-threatening medical incidents. Nancy was born on September 26, 1932 in Kokomo, Indiana to Granville and Thelma (Stiers) Walker. On February 26, 1967, she married Raymond Bevington of Kokomo, who survives. Also surviving are her son, Mark Bevington of Kokomo; her daughter, Linda Bevington of Chicago; her brother and sister-in-law, Robert and Donna Walker of Galveston; her brother-in-law and sister-in-law, Robert and Marilyn Bevington of Indianapolis; two nieces, Susan Walker of Indianapolis and Karen Stavroff of Galveston and their families; two nephews, Robert and Brian Bevington of Indianapolis; two great-nieces, Megan Hawes of Bargersville and Kristen Hartman of Turkey and their families; and several cousins. A 1950 graduate of Galveston High School, Nancy was employed at Lincoln Finance; Bunker Hill Air Force Base; Cuneo Press; Western School Corporation; and St. Joseph Hospital, where she worked in the general and emergency room admissions departments. She was an avid reader, gifted oil painter, and longtime member of Galveston United Methodist Church and Alto United Methodist Church. The last year of Nancy’s life inspired several ongoing professional initiatives to protect the health and honor the humanity of other nursing home residents and hospital/hospice patients. Donations may be made to the St. Vincent Heart Center in Indianapolis, the American Heart Association, the American College of Gastroenterology, and the Dysphagia Research Society. A memorial service, officiated by Rev. David Osborne of the Burlington Church of Christ, will be held at 1:00 p.m. Monday, April 16, 2018 at the Murray-Weaver Funeral Home in Galveston. Burial will follow at the Galveston Cemetery. Visitation will also be held at the funeral home from 2:00 – 6:00 p.m. on Sunday, April 15.